So i had some really good news over the last weekend - whilst i know it's all very small numbers, i was over the moon to completely smash my 100 likes target on Facebook. I'd created a Facebook account for Paper Crush some time ago but if i'm honest i haven't given it the love it probably deserves and i've seen a lot of other bloggers really enjoying using their pages so have been meaning to spend more time on it for ages. I find twitter really simple to use but decided to spend more time making sure my Facebook was updated too and voila...i'm currently looking at 163 likes which is amazing!! 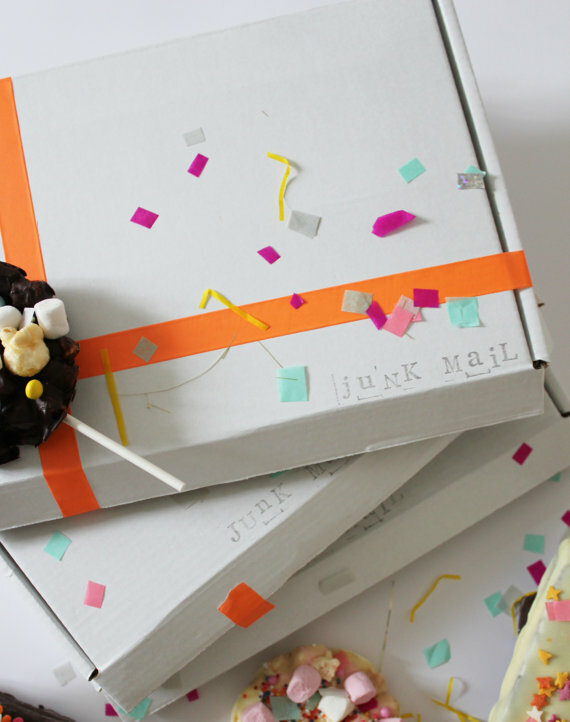 To celebrate i've joined up with the rather scrumptious The Happy Mail who send the most delicious looking snail mail i have ever seen and i'll be giving away the good kind of junk mail to one lucky winner!! All you need to do is head over to my Facebook page, make sure you like the competition post pinned to the top (what's not to like!) and leave a comment as to whether you would keep it to yourself (like me) or share it with someone else? Or even give it to someone else altogether? Omg, this is an awesome idea. 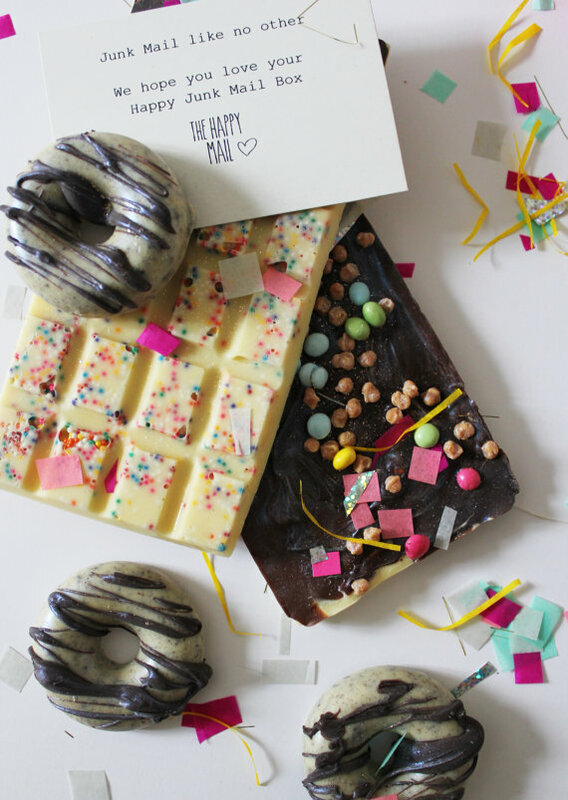 Those crazy chocolates look so yummy. :) I hope I win! they look just delicious don't they! Temptation in a box! Thank you! :) and good luck! Wow well done on the milestone! I keep meaning to set up a Facebook page!